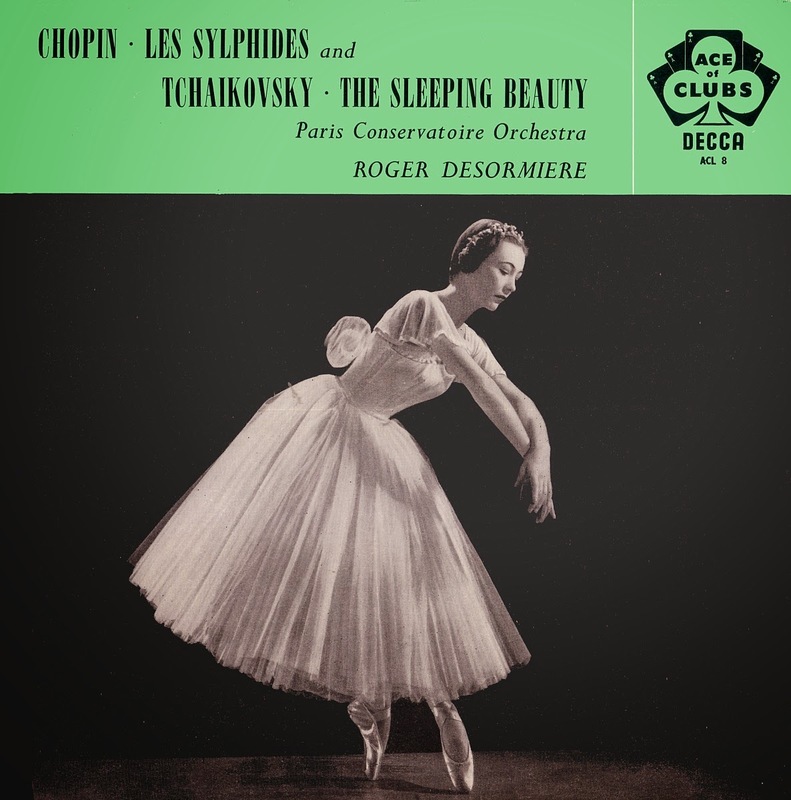 I like Roger Désormière; Les Sylphides is not exactly my taste, but I like to hear as much as possible from Désormière, conducting, so thanks very mnuch for your transfer, and a very healthy happy New Year! I'm not sure how much Desormiere was responsible for this (aside from the 'arranging') - and hopefully you have just downloaded Sylphides as (because I'd retained the Audacity 'project') decided to remove a few more 'blemishes' (mostly groove 'horns') - and had needed to record with a 3-4dB.increase compared to normal cutting-levels.. This may be slighly clearer, too, because I re-arranged my 1978 Meridian/B&W system - so had spare VdH D300 III 1.5m cables (silver plated) - so used those for the Phono link to the soundcard on another system. I've managed to clear 6GB from Mega by uploading FLAC's; but these older pressings really are time-consuming compared to later vinyl - so am a bit bored (by now) especially as it seems I've not played most of my collection.. I'm going to try a few more turntable set-ups when I (finally) install the Jelco 750D onto the Thorens 126 and put the SME 3009 back onto the 124. Have just set up an SME Series 3 on another recent deck - so may try that for some 33rpm transfers of 78's as have installed a Shure V15/3 into one of the spare SME arm wands (the cartridge fitted in the pic is a Shure M95HE - have lots of new Shure stylii for that (and the M97) - including a 78 - but the V15/3 is better ). Hello..and Greetings to you (and thank you for the interest you've shown!). In fact, this was supposed to have been the LXT reissue of the Not on CD Fistoulari/New SO "Graduation Ball"' (J.Strauss) but got bogged-down editing the copy (1 of 2) - so took an easier path - as this Tchaikovsky hadn't been available here for several years; though earlier-on was enjoying the 1952 Hamlet/1812 LPO/Boult on another early ACL whilst adjusting the above rig.. I'll try to find 'a cure' for the white hairs I've acquired over these 5 years...as it's unhealthy/stressful doing these transfers! I do wonder how many listen to them via 'proper' HiFi systems: my objective is to get extremely close to 'live LP replay' - more achievable with 24/96 - but am sure computer playback compromises the dynamics/etc.